My personal experience is that in 2012, at 45 years-old, I was suffering with increasingly painful and swollen joints, as well as other health issues that had started around age 35 and were progressively worsening. My mother has debilitating rheumatoid arthritis, fibromyalgia, vasculitis, neuropathy, and other health issues, and has been disabled since her 50’s. I was terrified I was heading down that same path. After numerous doctors’ visits and blood tests with no answers, I decided to investigate nutritional options. My daughter recommended the Forks Over Knives documentary, which my husband and I watched on February 15, 2013 and became instant plant-based, whole food consumers. Since that time, I’ve resolved my inflamed and painful joints, lowered my cholesterol from 220 to 141, dropped over 50 lbs., resolved adult acne that previously required prescription medication, and recovered from sleeping issues. Sometimes I have to pinch myself to believe this is the same body I had just a few short years ago. Honestly feels like I traded the old one in for this newer model. My personal mission now is to promote this way of health in my community (and beyond) and hopefully see some lives changed, just like mine. My blog was started in March 2014 with the intention of sharing recipes and health-related information with family and friends. It is now receiving over 120,000 views each month. I was dreading the ‘Empty Nest Syndrome’ but have found that I’m excited for this next phase of life and the possibility of helping others regain their life and health. FOOD IS MEDICINE! I live in Polk County, NC with my husband of 30 years. I have a degree in Business Administration, certification in Plant-Based Nutrition through eCornell , T. Colin Campbell Center for Nutrition Studies, and am licensed as a Food for Life instructor with the Physicians Committee for Responsible Medicine. 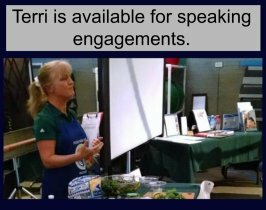 Currently, I teach nutrition education and cooking classes at medical facilities and other venues in Western NC and Upstate SC, as well as doing public speaking events. My other passions include: my faith and family, daily hiking with my German shepherd, yoga. I used to be a federal and state licensed Wildlife Rehabilitator. Go here to read more about my journey. As exciting as the weight loss is, it pales in comparison to the health benefits I’ve experienced–no more painful, swollen joints, high blood pressure, high cholesterol, restless leg syndrome, sleep issues, adult acne that needed antibiotic, hormonal issues, fatigue, and lethargy. The unseen is more powerful than the seen. This is freedom from sickness, and I’m so thankful! Visit my Wall of Fame to see some of the plant-based experts that I have had the privilege of meeting and/or working along side of since 2015. This is my Press Page. Legal Disclaimer. 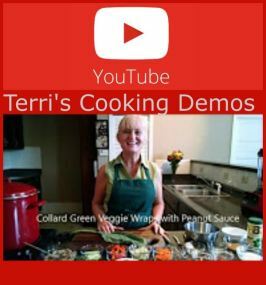 One of my YouTube cooking demos. Wow, this is so wonderful! Saw your link from the McDougall site. Congratulations! I love that you list feeling like doing headstands as side effects. 😉 You are so right about this way of life resolving inflammation and pain: amazing! Julie, yes, it feels truly amazing to have my life and health back, and I’m so very thankful! Hello! I just wanted to let you know I linked to your site from a response you left on Dr. McDougall’s site and have been enjoying reading your blogs for the past 2.5 hours. I wish I had your energy and your prowess in the kitchen…your meals look terrific! Wish I could hire you to make mine for me but I live north of Phoenix, AZ so don’t think that would work out. Anyway, just wanted to let you know how much I’m enjoying your site and I’ll definitely be trying out some of the recipes you’ve included. Also enjoy hearing about your good health and your other pursuits. Thanks so much for the positive feedback, Flora! Your message is confirmation for me that I’m on the right track, trying to encourage others back to health through nutrition. You made my day! Please let me know what you think about the recipes when you try them, and if you tweak them any to suit your taste. I love to hear what everyone is doing with them. Thank you again! Good Morning! I was wondering after reading your story, if you have created a weekly meal plan that you share as a jumping off point to going WFPB? I have always organized my weekly meal plan based on Weight Watchers knowing how much of each meal to make based on what I was allowed to eat. This type of organization is the basis of what works best for me. I am not sure how long some of these recipes will last or are freezable since I am living alone and need to cook for only one. If you have any suggestions in setting up a weekly plan, Would you mind sharing? I think your story is fascinating and I appreciate your desire to help others like me in changing to what appears to be such a healthy lifestyle. Is there a plant based food program near Greensboro NC? 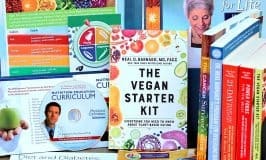 Barb, The 21-day Kickstart plan is free online at http://www.pcrm.org/health/diets/kickstart/kickstart-programs or via https://www.facebook.com/21DayKickstart/ . You can also register (free) at http://www.nutritionmd.org/recipes//index.html , where PCRM’s recipe archive is housed, along with the ability to construct a shopping list from your chosen recipes. 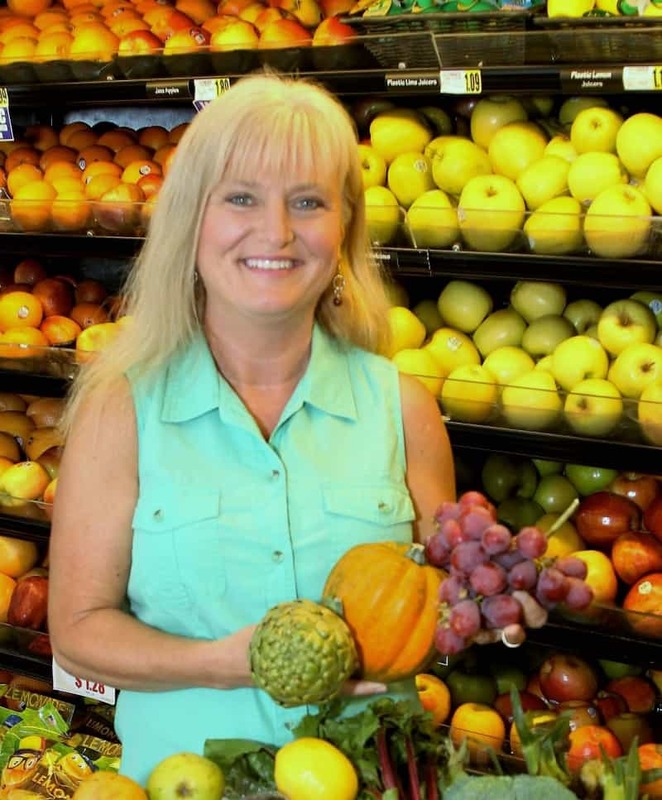 Another source of meal plans with shopping lists ($) is Lindsay Nixon, the Happy Herbivore. A lot of people seem to like hers. Her recipes are usually simpler than some, seem more down to earth. Here is an index to her recipes http://happyherbivore.com/recipes/ ; there’s a link to her meal plans at the top of the page. And Emma Roche at plantplate.com and https://www.facebook.com/plantplate/ has a $5 or so downloadable pdf 28-day meal plan with shopping lists and preparation instructions, etc. Also, University of California, Davis, Integrated Medicine program completed just before Thanksgiving its inaugural 21-day program, with plan, shopping lists, recipes. The founding director of their program, Rosean Oliveira, a DVM and epigenetics specialist, is very positive, inspiration, and explains things very clearly. I am not sure that the 21-day plan is still operational / accessible, but you can ask about that at the same time as you request membership. Then there’s Dr. John and Mary McDougall’s free plan (10-day) http://www.drmcdougall.com/health/education/free-mcdougall-program/ which is similar to his 10-day immersion programs and has mostly simple recipes and shopping lists and tips. Like you, I live alone. I find it much easier to eat leftovers for several days, as in cook up a batch of beans with greens and a batch of brown rice and have beans and rice for one meal or the other every day. Also to have the same breakfast (oatmeal with varying fruit) every day. I don’t batch cook the oatmeal as some do, but I don’t have a tight schedule as some do and can make it (in microwave) every morning. As long as I like the food I don’t at all mind leftovers. You don’t have to have the same beans and rice every day; both are freezable in one-serving quantities (whatever your serving is) and microwave reheatable. And you don’t have to have beans with rice. I fix black bean tacos every now and then, or taco salad with red kidney beans. I just finished a pot of small red bean and cabbage soup with a tomato sauce, which I ate on rice and found really satisfying, so that will be an addition to my beany dishes. That leaves one meal a day to think about. Usually I have either a sweet potato or an Irish potato with accompanying vegetables (fresh or frozen), most microwaved. Sometimes I water saute’ diced onions (fresh or frozen) and steam frozen mixed veg (on the stove), give them a few minutes to get the raw edge off, then stir in refrigerated (or frozen) cooked rice and put the top on the pot for another minute or two until they heat. Sometimes I fix tabouli (yum) and have that with hummus and pita bread (a Lebanese restaurant has a small grocery sideline with pita that is pretty much wholewheat flour and water and yeast). Or just a BIG salad. Dr. McDougall says most families recycle about nine or so favorite meals, with a new recipe every now and then. That works for me. I find it largely convenient to eat simply this way, but do find I buy too much fresh produce that doesn’t hang around long waiting for me to decide to eat it. I’m trying to figure out how to combine freestyling and planning so as to eliminate the waste. I felt too constrained by the plans and they are more aimed at families (parents and 2.? children) who can eat the entire recipe, with any leftovers going in someone’s lunch the next day. I don’t need a new recipe every meal, complicated by the problem of leftovers that I might not like. I collect recipes that look good to me and can try one any time I’m in the mood and it’s time for another shopping trip. I hope the above info and comments help. As long as you eliminate the animal products, highly-processed foods, SOS, you won’t have to worry about portion control or calorie or point counting. Great story, Terri. I admire your courage to embark on the extra education and certifications and strike out on your own. Best wishes! Thanks so much, Martha! It’s certainly and exciting time for me, and I’m having a great time following my passion. Amazing blog, thank you for sharing ? Your transformation inside and out is a true inspiration and solidifies to me the power of a plant based diet. Like I mentioned earlier I am only on day four and literally have no more pain in my feet when I step out of bed in the morning, first in two years! I have also lost 4 pounds which makes me believe my previous diet was inducing fluid retention. I am excited about this new way of life and hopeful my residual joint pain and digestive problems will also dissipate. Travelling with my hubby this weekend in our RV. He has been away all week so we have lots to chat about during our travels! My sincere thanks for your help! I came across our blog through Dr. McDougall’s website. I am very please to see your transformation and amazed at the work you do. I also have the similar issues like you had in the past. Hypothyroidism and an gouty arthritis that has all the symptoms but no diagnosis yet. I am currently not taking any medication and have never eaten meat in my life, not even fish. I was brought up as a vegetarian with regular consumption if dairy and butter and occasional eggs. For past two weeks I have given up that as well. I have given up wheat too. But my joint pain hasn’t improved at all. I am not 100 percent oil free yet and do take black coffee. I am just not sure why I am not improving.. How much time did it take you to see the results in joint pain? I am just really sick of this pain and would love to see some hope. Thank you Terri, appreciate your revert. Thank you for sharing your story. I have just recently been diagnosed with Rheumatoid Arthritis. I am hopeful that this change in my diet will help to control if not cure my issues. The medication they use to treat it has worse side effects than the disease. Your story gives me hope!! Thanks again!! Dana, I am wishing you the best of success and health! Thank you for sharing your story. I’m 50 years old and began my WFPB eating lifestyle in January of this year. However, I havent loat weight and my GERD is still ever present. I’m also still tired. I get frustrated at times because I’m not iticing any significant changes, so I end up eating unhealthy foods. I’m trying. But I need some direction. I have a hiatus hernia so I have heartburn and chest pain every single day. I read that if I shed some weight, those symptoms will subside. I do cook with oil but not as much as I used to. Is the oil the reason why I havent seen changes? I’m also not active (because I’m usually too tired). Can you please offer me some advice. I’m desperate and so discouraged. Here are a few links that might help troubleshoot and guide you to success. I hope some of this information will be helpful. I also started my WFPB journey in January and also struggled with my weight. Dr. Fuhrman sparked my interest in understanding the catabolic biological phase that led me to intermittent fasting. I found a lot of information from a nephrologist in Canada named Dr. Jason Fung. He gained a tremendous amount of knowledge dealing with type 2 diabetics that were experiencing kidney failure. His book “The Complete Guide to Fasting” was my turning point in weight loss. He also has a lot of YouTube videos. When combining intermittent fasting with WFPB nutrition you have what I consider to be the best combination to total health ! Good luck ! Liane, I often I tell my wife that the more you do, the more you feel like doing. This is really true but there was a time in my life that I thought with disbelief “yeah sure!” Since my stroke, I discovered “Forks Over Knives” and I went from being what I thought was a victim mentality to the realization that I had been in control of my health all along! I have had a close friend say that if you put in mediocre effort, you get mediocre results, and if you put in fantastic effort, you will get fantastic results! This is so true…. the more you do, the better you will feel. The symptoms that trouble you today will slowly fall away and you will be amazed at how fast it will happen, but that depends on your effort level. I used to be a real skeptic about our diets power and then I had a nearly fatal stroke. That still didn’t get my attention. Then I was diagnosed as a type 2 diabetic, and then I had a three way bypass operation. After all this, I felt really sorry for myself and wrongly thought I would suffer the same fate as my parents and that I didn’t have any choice, it was just heredity. It would have been my heredity if I continued to do the things that put them in their graves. Fortunately, I watched “Forks Over Knives” and changed my future health! I now take no prescriptions after being prescribed 18 different medications at the time of my stroke! My ailments are all gone and my doctors visit are down to yearly check ups. You can do this! Just read Terri’s blog and all the overwhelming examples of what a whole food plant based way of eating can do for your health! Just remember, the results will depend on your effort. It really IS true about fantastic effort will yield fantastic results. You will be so proud of your effort and it will show. Without saying a word, your body will be an example to others that it really is possible, you just have to take the first step, and then the second, etc. I will be praying for your success! WOW! G.K, I soooooo needed to read this. I am on insulin 4 times a day and on Unmet and they put me on a very tiny dose of blood pressure medicine but I really want to work to get off all of it. I want to be Med free. Thanks for sharing your story, it’s given me hope! Kim, I am so glad that my story has encouraged you. There are lots of beginners’ guides on this site for grocery shopping, meal planning, and so much more. Everything is free! Hopefully, you find lots of great resources to help you get started and begin a new health journey. Wishing you all the best! Terri, does taking the CHIP program qualify for the Foof for Life extension program you offer? Russ, the CHIP and Food for Life programs are a bit different. Both are based on plant-based nutrition education, so they are very similar in that regard. CHIP is a longer program—I think about 16 weeks and is focused heavily on education with 45-minute video lectures each class, with biometrics taken before and after the program. Cost is usually around $600. 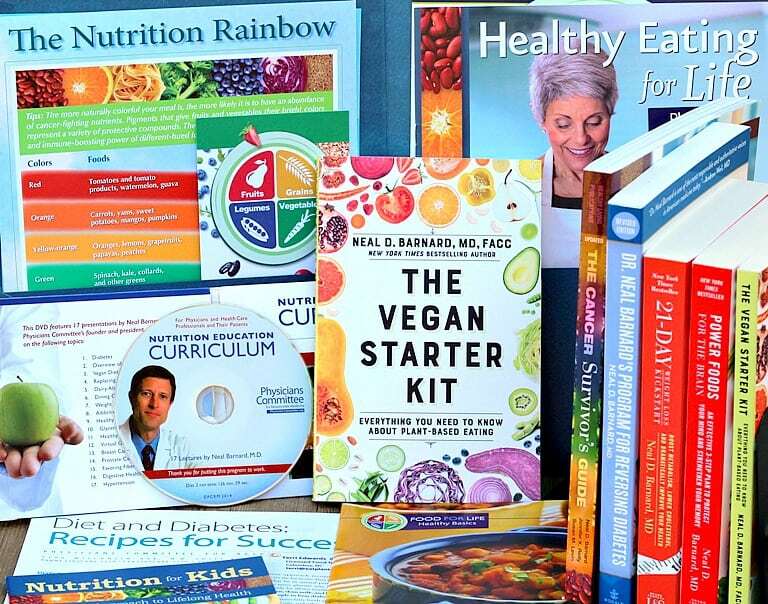 Food for Life is nutrition education as well, with 15 minute DVD lectures from Dr. Neal Barnard, plus the added component of cooking classes with demos and food tasting. FFL sessions are usually taught in 3, 4, or 5 week classes, meeting for 2-hours once a week. There are different series—KickStart Your Health (usually 3-5 weeks, Diabetes Initiative (4- weeks), and Cancer Project (4-weeks). Biometrics are not measured, so the cost is usually around $25/class. So a 3-week session is $75 all the way up to a 5-week session at $125. Terri is a dedicated person who lives her life trying to help others. She researches articles and talks with many doctors about foods that cause inflamation and poor health. Carmen, thanks so much for sharing a link on your site and for the kind words! Much appreciated! Hey Terri! I’ve got to tell you…you have me pumped! I’m so excited that I found your site. I’m working on me now, but oh how I wished I’d known about PBWF eating when I was younger. I’ve been all over your site and came across a post where you had linked to a book that great recipes in the back half of the book. I went through it this morning before I left for church and then came home excited about spending the afternoon reading through the recipes again. I LOST THE LINK!!! Can’t find where I read that post. Could you please give that link again? There were recipes in the last half, but also some really good instructions about some basic cooking. Thanks so much! Keep up the good work! Martha, I am so glad that you are pumped! Love that you are digging into the information. If the book was a PDF copy, it had to be the Cancer Survivors Guide, and you’ll find it at this link. https://pcrm.org/sites/default/files/pdfs/health/cancer/Cancer_Survivors_Guide.pdf. Wishing you all the best! I have a question for you. I am a RN and I am plant based as well. I am wanting to start nutrition classes and cooking classes for my community. I am looking at the eCornell training and the food for life instructor training. I saw that you have done both. They are both a little pricey, so I am wondering if there is a need to do both. Can I ask why you did both certifications? Also, do you prefer one over the other? I am so glad to hear that you are plant-based and wanting to encourage this lifestyle with patients. 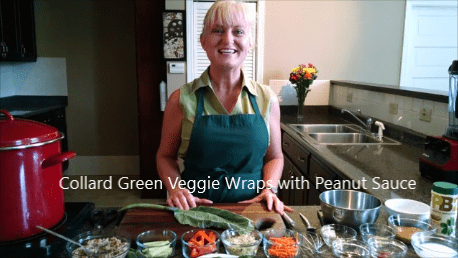 The eCornell training is very different than the PCRM Food for Life certification. Applying for the Physicians Committee program is more like applying for a job, though that is not what it actually is. PCRM accepts applications once a year and screens applicants for phone interviews. Each year, the number of new instructors licensed may vary but is usually about 30, from my understanding. From there, the selected individuals go to D.C. for three-days of training on how to teach the Food for Life program. New instructors are not employees of PCRM but run their own teaching businesses using the PCRM Food for Life curricula in their communities. In contrast, the eCornell certification is a self-paced 3-course program that is purely academic. It covers plant-based nutrition in-depth, and I highly recommend it. Thank you so much for the information!